Graduating Master of Fine Arts student, Bryon Hartley from the University of Nebraska–Lincoln’s School of Art, Art History & Design will present his MFA Thesis Exhibitions betweenApril 10-14 in the Eisentrager-Howard Gallery in Richards Hall. 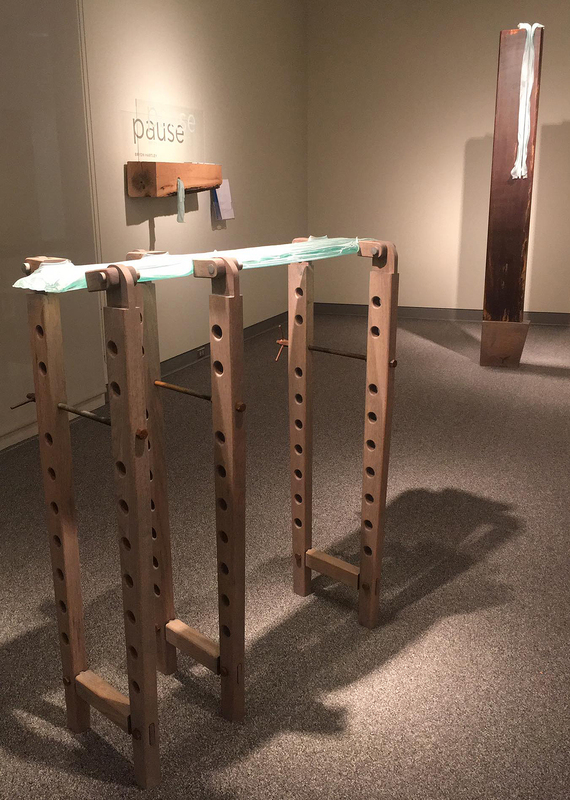 Join him for the closing reception of my MFA exhibition on April 14 from 5-7 p.m.
Hartley’s exhibition is titled “Pause.” He is a sculptor who works with glass, wood and metal. He writes in his artist statement, “Creating Art honors the traditions of making by hand and presents an arena where I am the designer and the maker. When I make, I hunt myself down; I pursue that moment when a piece is finished and I can pause. The making process totally consumes me—hours are spent planning, sketching, fabricating, jig building and mold making. I reach the point of exhaustion trying to figure out positive and negative space, perfecting a line, curve, or form. Sleep is longed for, but I drive on. I am chasing perfection and once it is reached, I am a peace. It is a euphoric high.” Hartley grew up in central Illinois and currently maintains a residence and studio in Dawson, Illinois. He earned his BFA from Southern Illinois University at Edwardsville. He has presented his work in countless group exhibitions and has several public art pieces on display across the country.